Whether you’ve just found yourself a brilliant new chef, your yacht has undergone a major refit or your galley is simply looking a little tired after a busy charter season, a few simple kitchen upgrades can make the world of difference to on board dining. From the best new cookware to beautiful dinner services and professional grade knives, treat your yacht and your crew with these gifts for your galley. It doesn’t matter how beautifully presented your food is, if your china is subpar it can let the whole meal down. 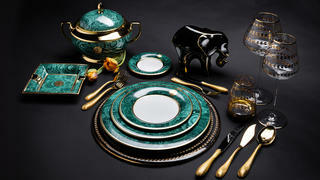 Stefano Ricci’s signature Malachite dinner service is inspired by the world’s royal palaces and features a sea green pattern finished in 14 carat gold that is befitting even the most opulent of superyachts. Launched in 2017 by Marie Guerlain of the Guerlain beauty family, Ondine is a top quality cookware brand that has been developed with aid from Italy’s Serafino Zani to combine performance with beautiful aesthetics. 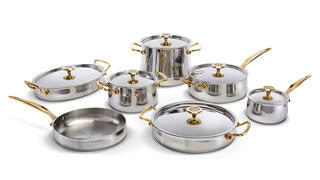 Each piece is handcrafted and assembled in 316ti grade stainless steel with the full range catering for all cooking needs. 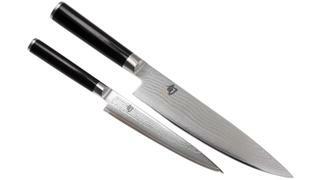 Kai’s Japanese knives are world-renowned as some of the best kitchen tools available. 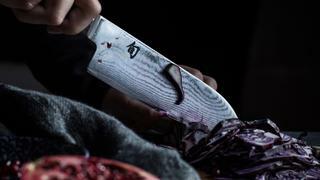 Help your chef make the most of their talent with the Shun Classic knife collection which features 28 models in total so, should your chef want to expand their repertoire, there are plenty of options. Want to stop saving your good wine for special occasions but don’t want to drink to excess? 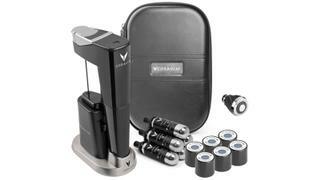 The revolutionary Coravin wine system allows you to pour a single glass of fine wine from any bottle without removing the cork thus protecting wine from oxidation. You can then continue storing the bottle for months, or even years, safe in the knowledge your wine is still perfectly drinkable. Its latest edition, the Model Eleven, is the first to be Bluetooth connected and fully automatic with an LED display to let you know when the system is ready to pour and when to replace its argon gas capsule. 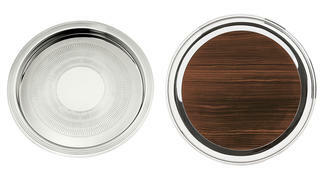 With crew serving drinks and snacks to all areas of your yacht, no galley should be without a range of stylish trays. From wide Art Deco styles to modern minimalism, Puiforcat’s range is one of the best around. Our picks? The subtly engraved sterling silver Champagne tray and the sleek wooden Jacaranda.